Come out for an evening of song, spirit and anticipation as we ready ourselves for Christmas 2014. This is a joint service at CityLight with the Bratislava International Church & Bratislava International Fellowship. 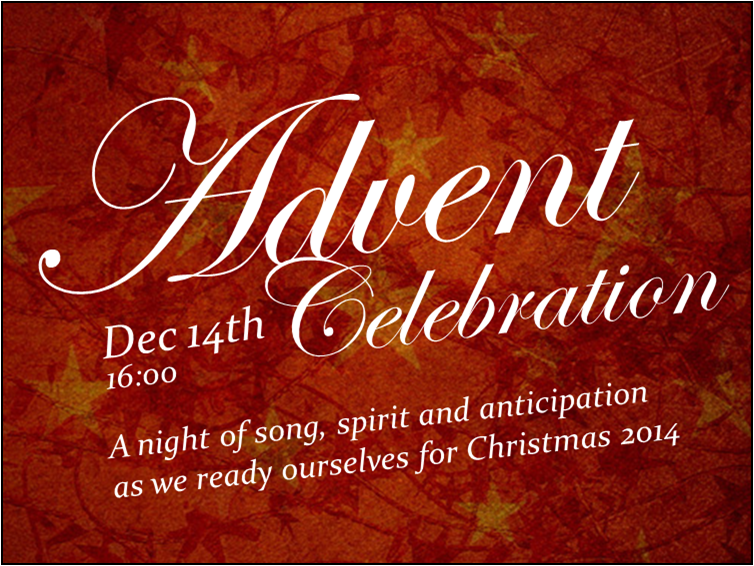 Together we are preparing a special evening of Christmas music, seasonal inspiration and celebration for all ages. So… invite a lot of people! In addition to preparing our own hearts for Christmas, there will also be an opportunity to prepare some joy for those less fortunate in our community. During the event there will also be a collection of Christmas gifts for children from the Majak Center (a home for women & children escaping domestic violence/abuse).We invite you to bring in unwrapped gifts for children ages 0-17.